I took a small, but very personal step in 2016 and added ‘writer’ to all my social media profiles. It may sound trivial, but the label has always been associated with an almost secret hobby that I was too scared to share out loud. This year I’m actually setting out some big and bold writing goals to really put some clout behind that title. I’ve really developed a love of poetry after both delving into some great pieces in my favourite literary magazines and avidly re-reading quite a bit of Plath and Tempest last year. It’s an art form I seriously lost touch with after school and I’m definitely enjoying both reading and writing it in all forms. The poetry pieces I’ve published on the blog such as Immigrant and To The City That Stole My Heart are some of the work I am most proud of and I want to share more of that either here on the blog or on my woefully empty writing Tumblr. Though I call myself a writer I’ve never actually tried to submit anything for public consumption (outside of the blog) for fear of it ‘not being ready/good enough/finished…’. So this year I am aiming to submit to at least 5 literary magazines. I’m already prepping material for two and have my sights set on a few more towards the end of the year as well, so I’m off to a good start. The point of this goal is not publication – though that would be incredible – but to start to building my confidence and get feedback on my creative writing in a professional capacity. I also actually want to experience a bit of rejection to see how I handle that (*yikes!*). One my absolute highlights of 2016 was attending the Write Like A Girl workshop in London. Being in such a wonderful, supportive environment of inspiring, creative women was honestly just the thing I needed to re-ignite my love of writing. I’ve have already signed up to GrrrlCon in Manchester this year (I. Am. So. Excited. ), but I also want to get more involved in the writing community online. That means hitting up people on Twitter and starting up a dialogue here on the blog too. Reading is such an important tool in a writer’s belt and though, yes, novels are fab, they are time consuming and the more mainstream publishers are simply not filling in my thirst for diverse voices. As I professionally work for a big publishing company, I want to champion the little guys of the literary world outside of work. That means featuring more small presses and investing in great indie lit magazines (and giving them the social media promo they deserve). This was a goal from WLAG that fell off the bandwagon (Oops), so I’m kickstarting it up again. I want to aim for 10 mins a day on a weekday, with 15 mins on a weekend. I’m also widening the parameters to not necessarily ‘write’ full prose or project work, but am including planning and pre-prep for longer writing sessions. My absolute stipulation is that it has to stretch my brain creatively, it can’t be blog work (which my writing time tends to dissolve into) and once I hit that pre-determined writing time I have to stop. 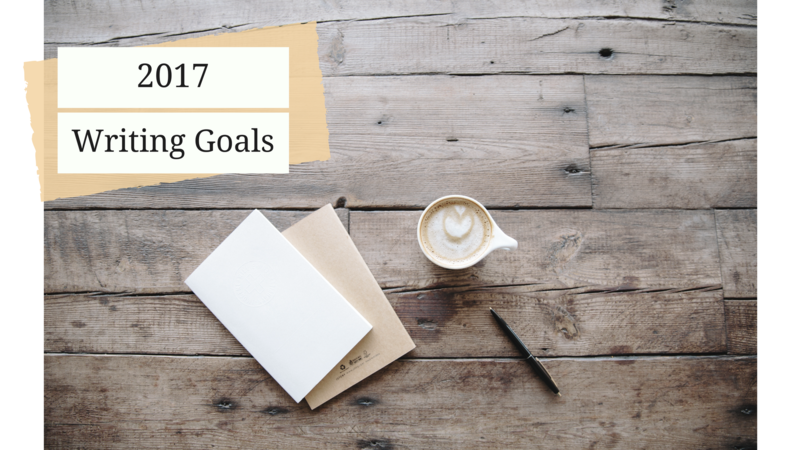 I know a few of you reading this are writer-y types too, so in the spirit of goal 3 let me know your own writing resolutions in the comments below.